whose lives have been positively impacted by the staff at CP Rochester! 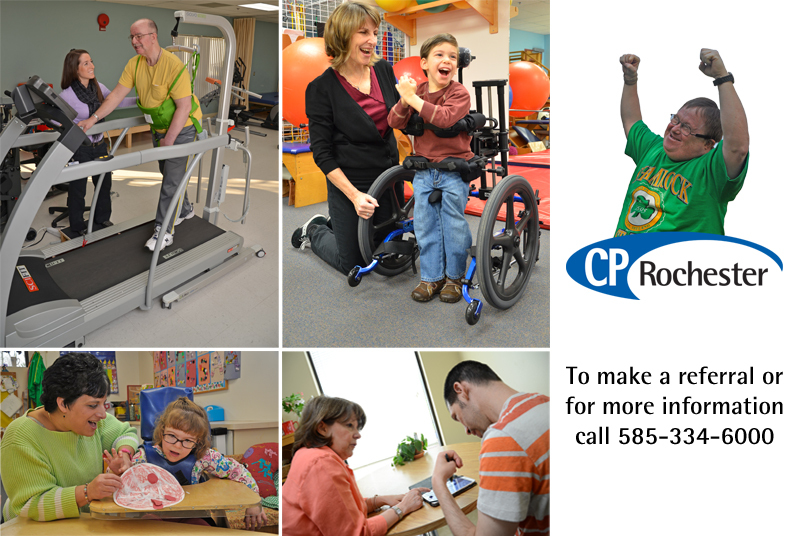 CP Rochester supports individuals of all ages and abilities to determine their own pathway in life. We partner with the individual, their family, and the community to fulfill the individual’s right to live a productive and rewarding life. CP Rochester provides a wide range of quality health, educational, and support services in the greater Rochester area to assist individuals in achieving their goals. Don't miss Tom Golisano's guest essay in the D&C. Mr. Golisano discusses the urgent need for resources for individuals with autism and their families in our community. The new Golisano Autism Center Rochester will break ground this fall and open in 2019. Two essential resources, the Autism Family Navigator and the Autism Help Line, will be available this summer, much sooner than originally planned to provide immediate support to those in need. We are grateful to Mr. Golisano and The Golisano Foundation for their generosity and leadership which is helping turn our dream into a reality. Learn more about the Autism Family Navigator and the Autism Help Line at www.golisanoautismcenter.org and find help, support, and hope. Save the date! Ability Partners Foundation will host our 9th Annual Autism Awareness Walk on Saturaday, April 27, 2019 at Eastview Mall in Victor NY. Join us for a fun and inclusive, indoor community walk to celebrate diversity and raise awareness for Autism! Save the Date and join for the 5K Run for Fun and 1 Mile Walk for Wellness!